Several months ago I wrote about my family’s plan for my husband to continue his education: he was going to quit his job as a software engineer and then become a full-time student at our local university, working toward a degree of electrical engineering. We would be living on no income for an extended period of time — living off of savings and food storage. My husband has been very slowly working toward his bachelor’s degree for many years now. About three years ago, we made the decision for him to go from a 40-hour work week to a 32-hour work week at his office. We would still keep all our benefits, and though our income would take a hit, we would still be able to save money. With the extra time per week, he would be able to take one class per semester at the university as a “non-traditional student.” His guidance counselor determined that at this rate, he would graduate around 2021. Eek! But, if he decided to go full time, including spring and summer terms, he could graduate by December 2016; a much more workable plan. I was nervous to tell my mom about what we were planning, but when I did, she said, “If anyone can do it, it’s you two.” It was really nice to have the parental support, because the internet was not so kind. People called us irresponsible, misguided, and said that we were crazy dreamers. My favorite comment was, “This is the stupidest thing I’ve ever heard of.” At least I know my mom likes me! As the date approached for my husband to quit his job, I grew increasingly nervous. What if those internet commenters were right? What if we were just being foolish? In the end, it was a moot point. My husband’s company underwent some major restructuring that resulted in most of his team being laid off, including himself. His boss and others in management had known about his plans to quit for months but very generously fired him, so that he would be eligible for a severance package. So far, so good with our living on no income experiment! So now, here we are, more than two months since my husband stopped work, and already finished with his first term (it was an accelerated course). How are things going so far? Well, not so bad, actually. Thus far the changes have been minor. Some have been good – the university is closer to our home than my husband’s former office, so he rides his bike, leaving me free to use the car. Other changes haven’t been as wonderful – my husband is gone more hours per day so he can do most of his work on campus. One of my concerns in planning our adventure involved the amount and type of food we would have access to. In my imagination I worried about being hungry all the time, forced to eat sludge with depressing names like, “gruel,” “mash,” and “cabbage soup;” things that taste like sadness and broken dreams. If you’ve read Survival Mom’s Could You Stomach These Great Depression Meals, you know what I’m talking about! After assessing our expenses, however, we found that our grocery bill comparatively minuscule. We can still comfortably purchase fresh fruit and ground beef. It helps, though, that the meals I make from our food storage are flavorful and exciting: falafel, hummus, and black bean tacos. Are you experiencing lean times, too? 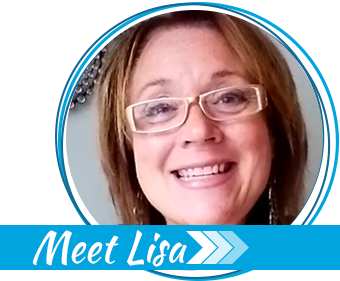 Don’t miss my monthly “52 Weeks Savings” series. 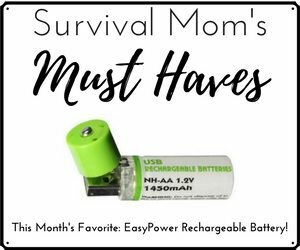 Each month I post that month’s best bargains, discounts, and deals for the frugal-minded Survival Mom! Here’s a sample for the month of June. We’re not in lean times, yet. It’s difficult to feel the pinch when there is still so much leeway. We are still making our mortgage and utility bills out of our savings, and expect that this will be the norm for some time. We have already begun eating up our food storage. We did not qualify for grants and scholarships at the beginning of this year because my husband was still employed, but we will qualify for those grants next year, and that will go a long way toward stretching our savings. Although we will qualify for programs such as WIC and SNAP, we don’t anticipate that we will have to use them. We have no plans to take out student loans, either. The only sticky question that remains relates to health insurance. We don’t want to use Medicaid because we don’t want to become a burden on an already strained system. It’s something of an ethical labyrinth because being uninsured is far too risky (it’s also against the law, thanks to the Affordable Care Act). Yet the price of private health insurance is astronomical. We submitted an application to the healthcare.gov website, in hopes that it will direct us toward a middle ground: health care that is truly affordable that doesn’t constitute accepting a free lunch. It is not my intention to, in any way, put down those who must use these programs by necessity. Rather, it is to illustrate our mindset. We know that living on no income on purpose is risky, but we have a strong desire to retain our independence and an even stronger desire to refrain from using resources that could go to people whose needs are greater than ours. In all this, I’ve discovered a very good surprise. For most of our almost ten-year marriage, my biggest fear was that someday my husband would come home from work with news of being laid off. I’ve discovered that this doesn’t have to be such a scary thing. We had prepared for this, long before we made the decision for my husband to quit work. If this had been an unexpected layoff, we still would have been able to feed our children and fulfill our financial obligations, with a lot of room to breathe. If, in the next few months, circumstances prove that our current plan is untenable, we will still have the resources to stay afloat while seeking out another job. This, I feel, is the essence of emergency preparedness: so when the axe falls, preparation softens the blow. 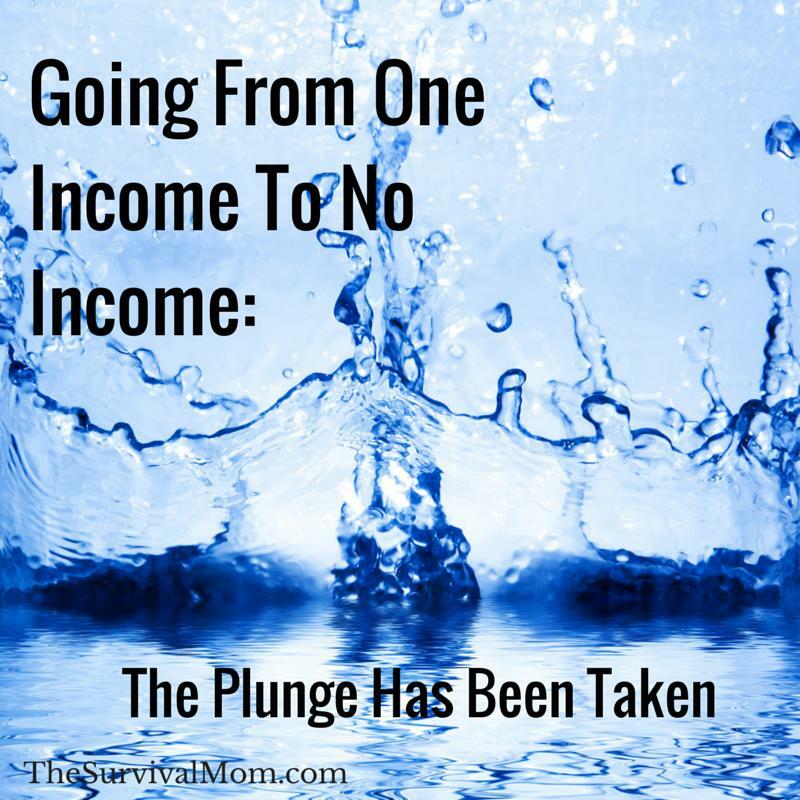 Are you ready to live on no income? 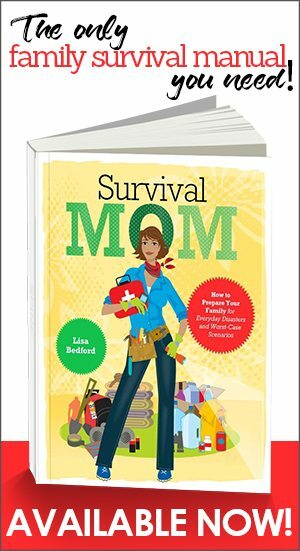 March Survival Mom of the Month: Debbie W.! 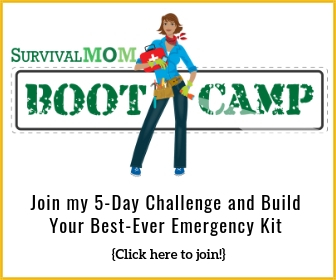 April Survival Mom of the Month: Jamie of Prepared Housewives! Beth Buck lives in Utah with her husband and three children. She has a degree in Middle Eastern Studies/ Arabic, a black belt in Karate, a spinning wheel, and a list of hobbies that is too long to list here. Hi Beth! I think this is really great of you guys. It’s putting your prepping to test. If things were to get too hard your husband can still find another job. But you will know how far you can go with what you have. Kudos to you for having the guts to go for it. The few people that have seen our basement think we’re nuts but I keep saying if my husband loses his job, we can focus on other things besides the weekly grocery bill. Keep up the good work. that works 2 days a week while her husband is finishing school. It works for them. In all of this you don’t mention what you are doing. Are you a stay at home mom? What about taking on a part time job yourself? I am a believer in going back to school to make yourself more marketable, and to increase earning potential. I applaud your sacrifice in the short term for what is sure to be success in the long term. Looks like you guys really prepared yourselves for this. I am happy to know that there are responsible people out there. How many of us can do the same? I am contemplating quitting my job and retiring, but there is a lot to plan for. Thank you for sharing. LOL I grew up on (and still feed my children) many of the meals in your Depression list. I’m not sure why people would think it stupid for your husband to go back to school, especially if it increases his future earning potential. If you have the savings and storage set up to ride it out, well, isn’t that what they’re there for? I can’t really comment on the healthcare issue – as a Canadian, I kind of take health insurance for granted. Once we were beyond broke and only had some bulk purchases (grains, beans + a grain mill – I made all our bread) + a garden – not a year’s worth of food by any means. The Lord was very gracious to us – people kept giving us food. And when my husband found a paying job the food baskets just quit coming. Do what seems right, then do what you need to do. I am certain your children will be feed (maybe not exactly what they want, but they will be full + healthy). And years later when he got really sick I went to work. It was hard because I had pre-schoolers at home + he just kept the house warm + not much else, but again – you do what you need to do. I appreciate the enthusiasm and optimism in your articles. A survival mindset is so important. Thanks, everyone, for your comments! I know that living off of savings is very different from living off of nothing, just as living in an apartment is different from living in a tent in the woods. Given the choice, we definitely wanted to go with the savings option! As for what I am doing: I am a stay-at-home mom. What with one thing and another, it would not be worth the hassle for me to go back to work at this time. I do have a college degree, but because of the nature of my field of study and my work experience, we calculated that we would actually save money if I stayed home with the kids! Life is funny that way. Trust God, keep going. Everything will work out. An EE is an excellent career in high demand. It’s a good move. Congratulations for the courage to get ahead. I quit my profession of military pilot and went back to many years of college to become a Periodontist. Worth every sacrifice times ten!!! So encouraging to see you have the spirit to become a richer and more satisfied American family. Beth, best of luck to you and your family in your journey! I lost my job 12/13, and preps have been a major help, and also allowed me to stay home and watch my grandson. I have looked for employment that fits into my new lifestyle, and it hasn’t been easy. I am on a new push to look for jobs outside my field, even minimum wage if need be. Unfortunately, our preps have been depleted, and I’m very concerned because of the way it appears the future is going to play out. I hope things work well for you and yours, and will keep you in my prayers! Beth, I am SO impressed!! You can do anything you put your mind to; given that you are willing to sacrifice in the short term for something better in the long term. I think you should write a book about your experience — similar to “Scratch Beginnings: Me, $25, and the Search for the American Dream” by Adam Shephard. It would create another stream of income for your family! I will keep your suggestion in the back of my mind, but I think I’ll wait to see how it turns out before I even think about writing a book. So far it’s going great, though – both my husband and I have been able to pick up little odd jobs here and there that are small enough that it doesn’t interfere with school or home life, and my husband has been able to get good grades this semester. Four months down, sixteen more to go! Oh my word – go talk to the financial aid counselor. It doesn’t matter a tiny bit whether he had a job at the beginning of the year, you can apply for an exception for the FAFSA if your income has drastically changed. You should still be eligible for the Pell at least and probably more, depending on where you’re located. Already done. We have yet to see the funds, but the paperwork has been sent in. What did you figure out for insurance? My husband and I are employed full-time, but after the recent birth of our son (3 additional kiddos) I am looking to stay at home. I carry the insurance through my work and he doesn’t have this option. This is the only thing preventing me from being able to stay home. This post just showed in my Facebook feed (you know where they remind you of something you one posted). I’m having trouble figuring out how to find the post where you update how this plan all worked out. According to the plan he should have graduated by now. So, how’d it go?